Spain is by far the largest exporter of extra virgin olive oil in the world, producing more than three times the quantity of Italy, and is responsible for nearly half of the world’s production in total. This prominence is nothing new with olive oil production in the country dating as far back as the second millennium B.C. and a plethora of archaeological evidence proving Spain had been supplying the Roman Empire with olive oil. Although the country has a 4,000 year history of olive oil production, it is in the last 25 years that Spanish olive oil has undergone a true revolution. While in the past the country held a strong reputation for sacrificing quality over quantity, Spanish producers today are making some of the word’s best olive oils, utilizing the country’s abundance of local olive varieties with their broad range of flavor profiles. It is no surprise that the many premium brands in Spain have seen a fair share of international awards in recent years. Since 2008, Spanish olive oils have received five top-three finishes at the prestigious IOC’s Mario Solinas Awards including “Best Olive Oil in the World” in 2013 for Estepa Virgen, by Oleoestepa and for Oro Bailen by Galgón 99 in 2012, and continue to make headlines on the global award circuit from Los Angeles to China. Olive oil is produced in nearly every region in the country, but it is the South of Spain that is virtually defined by olives. In fact, the region of Andalusia alone produces around 60% of Spain's total output. In this picturesque region of Southern Spain, olive trees span the landscape as far as the eye can see and is a truly remarkable, breathtaking sight. Spain cultivates hundreds of different varieties of olives, but the major varieties include Picual, Hojiblanca, Arbequina and Cornicabra. Additionally, some producers have begun to focus on the smaller notable varieties indigenous to their area, such as the Royal olive, cultivated by Castillo de Canena in Northern Andalusia and the Genovesa and Royal Changlot varieites cultivated by Masia el Altet in Valencia. Picual, by far the dominant olive oil varietal in Spain, when harvested at optimum ripeness, produces a robust fruity oil with strong notes of green grass and herbs and is very high in polyphenols at around 400-500mg/kg on average. It is ideal for frying and also elevates the flavors of soups, salads and grilled meats when used as a finishing oil. The second most widely-produced varietal in Spain is Hojiblanca. A large olive suitable for table olives as well as oil, it produces a powerfully fragrant oil with a slight sweetness on the palate with a slight bitter-almond finish. It is also a great oil for frying, sauce making, dressing over pastas or enjoying pan-tumaca style drizzled over crusty white bread with fresh tomato and garlic. Another type of Spanish olive dominating the olive oil scene is the sweeter Arbequina varietal. Originally from Catalonia, it yields a delicate and fruity oil with flavors of green apple, tropical fruit and sweet almond. As the oil is considered too delicate for frying, it is highly recommended for use with foods such as fish, salads, vegetables and mayonnaise. 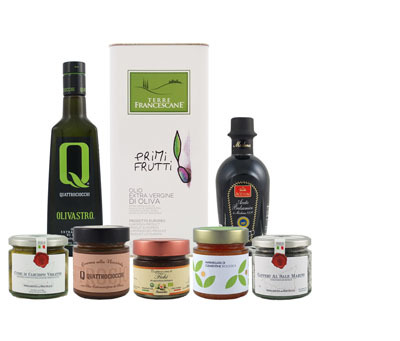 In our online store, you can browse our extensive selection and buy some of the best extra virgin olive oils from Spain, including award-winning and up-and-coming brands such as Castillo de Canena, Oro Bailen, Oro del Desirto, Masia el Altet and more.